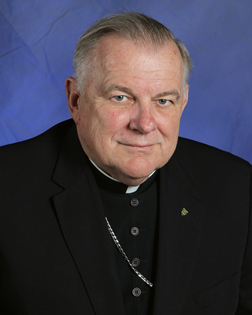 Born Oct. 18, 1950, in West Palm Beach, Archbishop Wenski is the son of first- and second-generation Polish immigrants. He attended Sacred Heart School in Lake Worth and in ninth grade entered what was then the high school seminary of St. John Vianney. He continued his studies at St. Vincent de Paul Regional Seminary in Boynton Beach and was ordained for the Archdiocese of Miami on May 15, 1976. 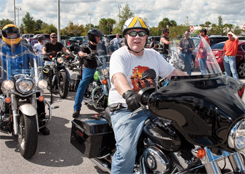 He was named auxiliary bishop of Miami in 1997; coadjutor Bishop of Orlando in 2003; and will assume his duties as Archbishop of Miami and Metropolitan of the Province of Florida on June 1, 2010. Click here for more information about Archbishop Wenski. �When I get the time to watch TV, I like �House." "What Your Money Means - And How to Use It Well� by Frank J. Hanna. �Not that I have any money to speak of, but Hanna writes from the conviction of his Catholic faith about how he and other persons of influence and affluence can avoid the dangers of wealth and in fact use it as a school of virtue."